Nope, there is nothing deep inside that wants to tackle an ultra. But, I love following your journey. Dude, do you not train on Sunday because that is your church/day of rest/spend time with the Lord day? I do that too, (on Saturday), and I think it honors God and gives my body a break. All those tips are great! I benefitted from them and don't even plan on doing one. Thanks! I've always wanted to do a 50 miler. I promised myself that if I could get my ITB under control that I would train for one. I love history and presidential history so my secret goal is the JFK race in Maryland. I guess it's not much of a secret anymore since I told you. 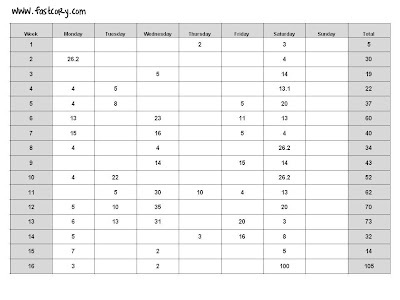 My goal this year is an Ironman in July but 2013 I plan for a 50 miler! You're a great inspiration and I don't get tired of reading about your 100 miles! All of this advice is GOLD- even for someone who isn't (and doesn't plan on being) an ultra runner. 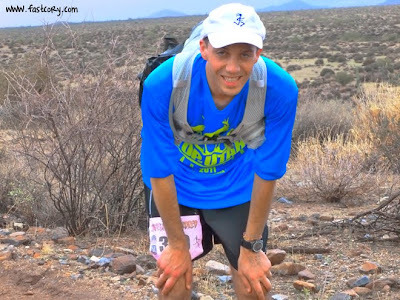 You'll be so glad you wrote all of this down when it comes time for heavy training for the Zion 100. If you're like me, you still forget the lessons you learned. That is why I love the blog so much! It's easy to review. You are an incredible runner. ummmm yes. there is a part of me deep down that wants to do an ultra. SO BADLY. but i think the more i learn...the more scared i get? there seems to be so much more than just the running to be prepared. i want to learn more about myself physically and mentally as a runner before i tackle anything too huge. i also need to get more into trail running. these tips were wonderful and i appreciated each of them! thank you for sharing your experience! You are awesome Cory. I love that you are so real and so honest about your training and experiences. Even though I have no real desire to run an ultra I still gain so much insight and learn so much from your experience. Thank you so much for sharing. And yes we can do hard things. I continue to learn that and push myself past new boundaries with every single race I run. I'm sharing this post with him. I love this post.... Just today I was thinking I needed some ultra advice and was planning on hanging out with google. 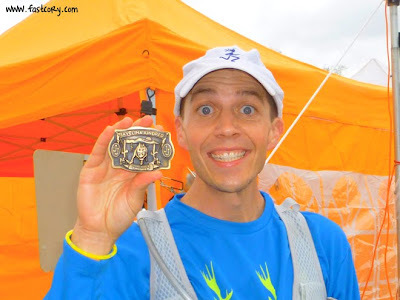 I am planning on running antelope island 50 again in march. I want to take an hour off my time. But mostly I want to actually plan, train and prepare for it. This year when I ran it, I hadn't trained for a fifty, just a marathon. This post gets me so pumped up. Can not wait. You are such an inspiration. Thanks for the tips. As always, thank you so much for the motivation and all the knowledge you have come across during your training and your awesome ultra. I am absorbing it. YOU ROCK!! I still can't wrap my brain around an ultra. I also used Jeff Galloway's walking breaks on my marathon. But now I can't seem to break the habit. I'd like to NOT have walk so much on my shorter runs, like I used to. Thanks for a fun and informative read! This is amazing! You are amazing and inspirational! I'll never run more than 13.1 miles, but I've enjoyed following your journey. 1) On trails my walk breaks are determined by terrain much more than time intervals. Most ultrarunners follow the plan of "Walk the ups, run the downs and levels." I think heart rate training could be really useful for training for an ultramarathon...like train in zone 3 for an eternity and see where that takes you! I'd like to do something like this next year! Thanks for the great information! This post is a great resource. I recently decided to tackle my first 50, and I'm already enjoying the journey. Interesting to see your weekly millage buildup, Im actually surprised by how little it was in the begining, and how 'short' your Long runs were. I have a 100 miler sitting in the back of my head as a long term goal. But next year its 'just' 50 miles or there abouts. Cory, I saw your comment on my HR entry and had to check out your blog! We have a lot in common! 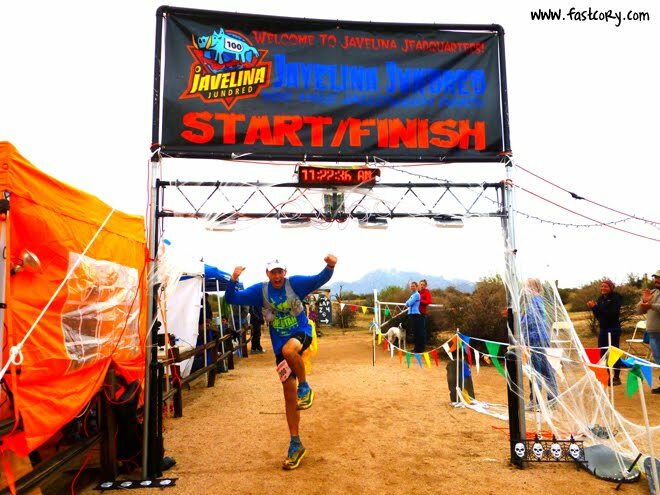 The first Ultra I ever attended was Javelina Jundred in 2010 as a pacer for 50 miles, a month after I BQ'd at the St George Marathon. The training plan you used for your 100 miler above is the exact same one I used for training for the Bear 100 this year and I finished about the same time, 29.5 hours. I did get to see Karl Meltzer at mile 93. I'll put in a good word for you next year. I have some friends that want to come down for the ZION 100 so keep the awesome pictures coming and I'll send them to your blog! This is awesome, solid advice, and well written. Though now I'm more afraid of a hundred miler... maybe I'll stick with a 50 as my goal. You are crazy in a good way!